I recently had a little hands on time with the Ninja Blade demo. Several other websites are all doing the same, and I imagine it’s only a matter of time before a demo comes to the united State Xbox Live Marketplace. I hope others get to try this game before they buy. I just wanted to provide a very short summary of what I found. Graphically, the game is stunning. It uses concentrated camera angles, thus forcing much of the 360’s power into tight frames, making sure it looks good, and still plays smooth as silk. The combat engine makes the game a lot of fun. “Special moves” included, you can pull of some flashy looking combos with ease. The level design is unlike anything I’ve ever seen. Some games like to bring in the “veritcal” aspect of levels, but none have done it in this scale. You literally RUN down the side of the building, pulling off movies that you would expct to see in a Jet Li movie! The game flows seemlessly from one segment to another, and the voice acting is on par with some of the better titles lately. It might not be the best I’ve heard, but it certainly adds to the environment you’re placed in. It appears as though the story was actually given a bit of thought, as well. For me, that’s a make-or-break detail. The game is set in the not-too-distant future, in a time when the Japanese government has created a Ninja Strike force to combat some kind of mutant or alien menace. You are the best that team has to offer. The game uses “the Simon system,” as I call it. A series of commands you need to mimic, as seen in countless games these days, from Indigo Prophecy to Spider-Man 3. I have a tendancy to shy away from those games, I’m frustrated by my own poor reaction time! But this game leaves response ample time, making it a bit mre enjoyable for someone like me! Overall, it’s the kind of game that if I saw it in the store, I wouldn’t be buying it. Until I tried the demo. 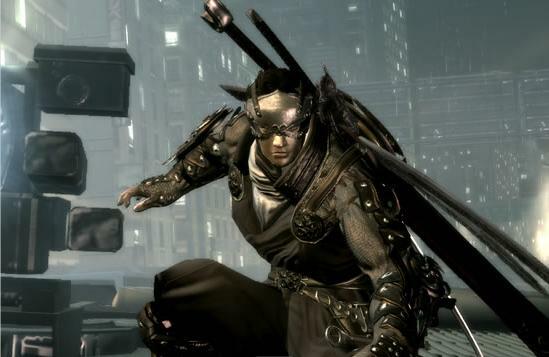 The demo for Ninja Blade is a fantastic selling point, and I sincerely hope they bring it to other marketplaces, so that others can try this game that they may be a bit hesitant to buy.